On 14th June 2017 I became the proud owner of the Urban Decay Naked Heat Palette and boy, what a day that was! Urban Decay did a limited presale release of this highly anticipated palette and luckily my order was processed and I did a very, very, happy dance. Now, do I need any more eye shadow palettes? No! 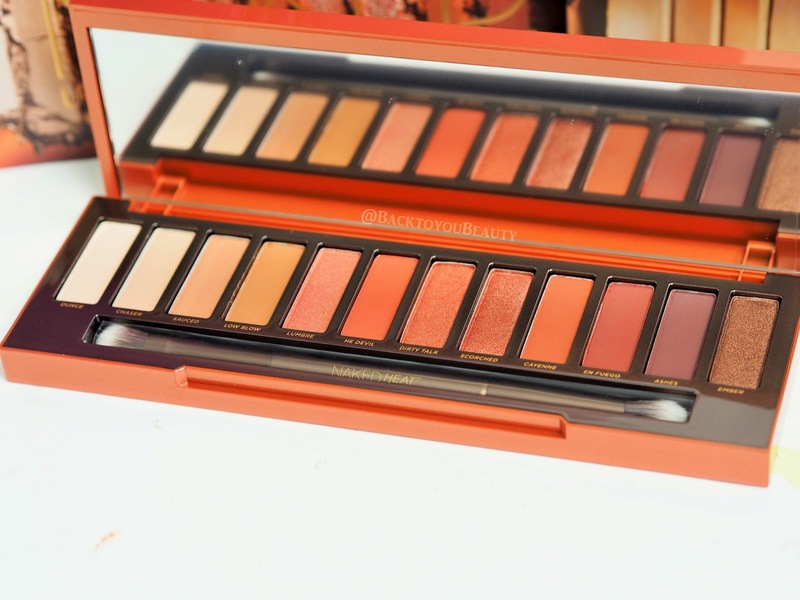 Do i need the Urban Decay Naked Heat Palette? Absolutely and I will tell you why. 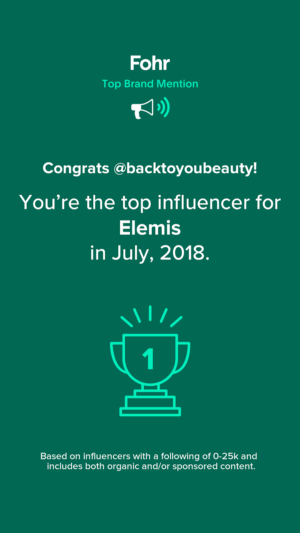 Firstly and most importantly, as a self confessed eye-shadow-aholic, as soon as I saw this gem on Jane’s (British Beauty Blogger) Facebook Live i knew this was for me, and secondly….I had to own at least one Urban Decay Palette right? 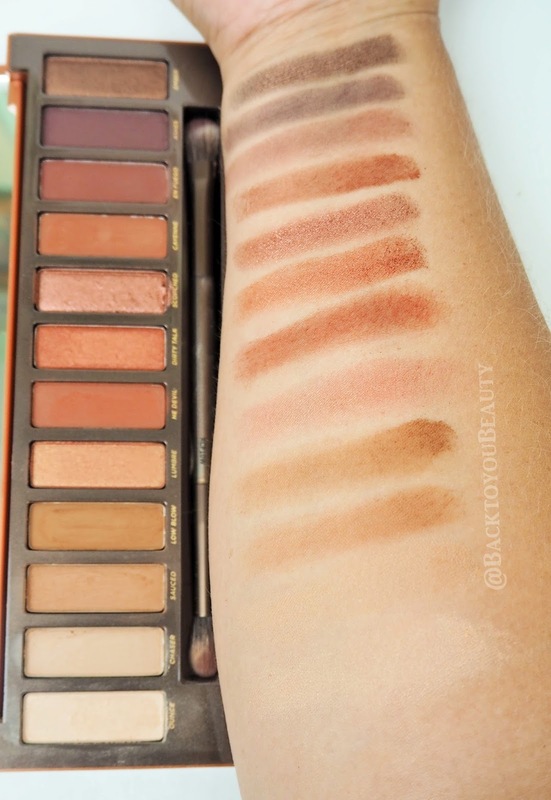 You see the funny thing about all the other Urban Decay “Naked” Palettes is they are just too, well, naked for me. 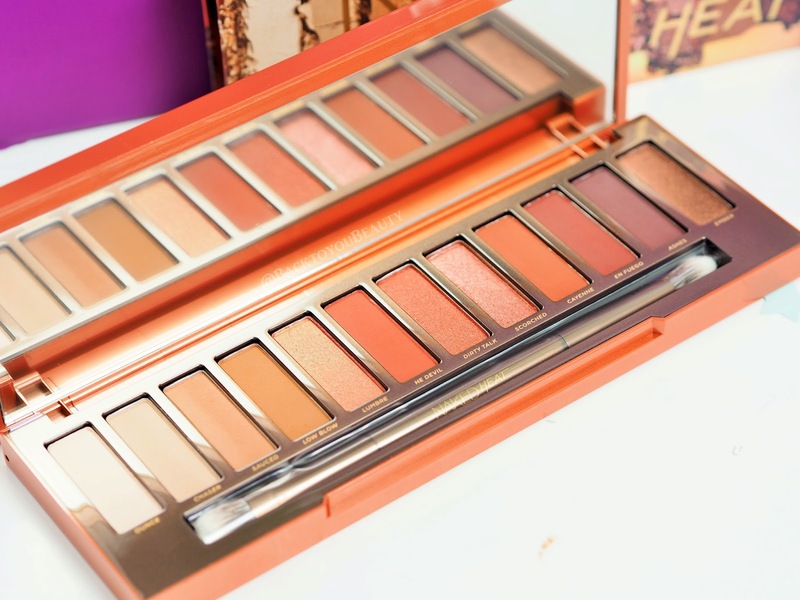 I like colours with a little punch, a bit of oomph and some warm tones that will bring out my blue/green eyes and that is exactly what the Naked Heat palette does. Whilst some bloggers rushed to post their thoughts on the palette the day they received it, and there are some really mixed reviews which I urge you to read, I decided to take my time, to play with every colour in every possible way so that I could give a more accurate perspective. It’s safe to say that for me…it is absolutely perfect. Every shade is wearable for every, single skin tone and hair colour, every pigment is perfect and the actual compact itself is a dream to look at and jumps out of my drawer every time I open it. I have not worn any other palette this past month. The palette itself comes beautifully packaged in burnt orange packaging, with gradients of sunrise/sunset shades across the top. 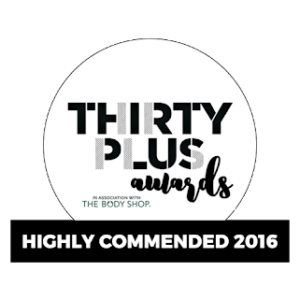 Inside is a lovely long mirror so you can easily see yourself, a great double ended brush and by that I mean one that you will actually enjoy using and then….drum roll….twelve gloriously warm matte and shimmer colours. These shadows are soft, creamy and deeply, deeply pigmented. Add to this the fact that they blend like an absolute dream and you are on to a winner. I know some people have reported fall-down with their shades but I have used every single one and as long as I tap my brush after picking the shadow up, I have not noticed any. To make some of the shadows really pop ( not that they don’t already) I spray a little Mac Fix Plus on my brush and this really intensifies my shadow especially when I am doing a spotlight look. In my opinion the swatches do not do these shades any justice, you really need to get in store and look at it and try it out when it is released on 27th July. As you can see from my photos (these are completely untouched or edited, but have been taken under studio lights on a professional camera) my eyes really pop. The longevity and wear and everything is there for me. 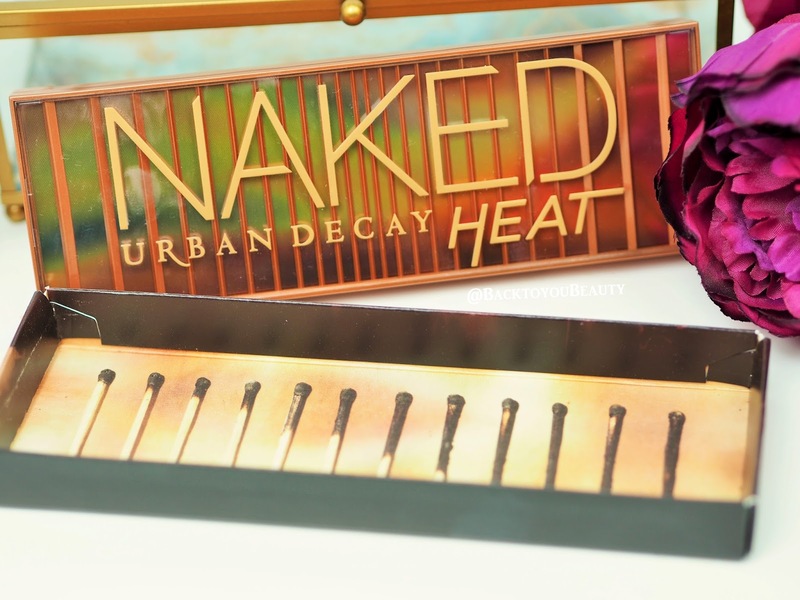 If I had to pick just one Summer palette to purchase this year, without a “shadow” of a doubt it would be this Urban Decay Naked Heat Palette. What do you think of the Summery warm tones of this palette? Are these colours you would wear? I would love to hear your thoughts so please leave me a comment below. Oh no, that's a shame, thank you for the compliment. Aww, thanks hun, i'm a bit addicted, could you tell? 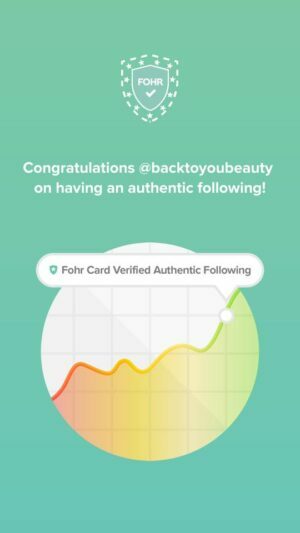 I absolutely love your photo's of the palette! I tried this a couple of weeks ago and I'm obsessed now! 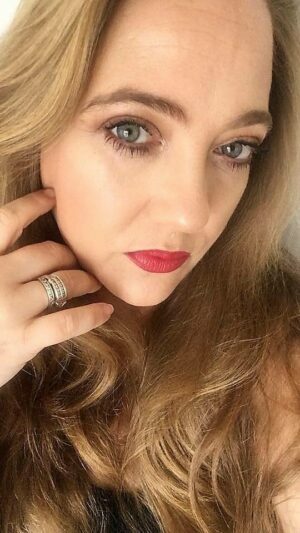 I will buy it for sure, i really got into the Cranberry colour eye with my Tarte Hrush palette and i have brown eyes and think these shades would suit me also, they do look fab on you Sharon and i am glad you rated it highly,thank you. This palette looks gorgeous. 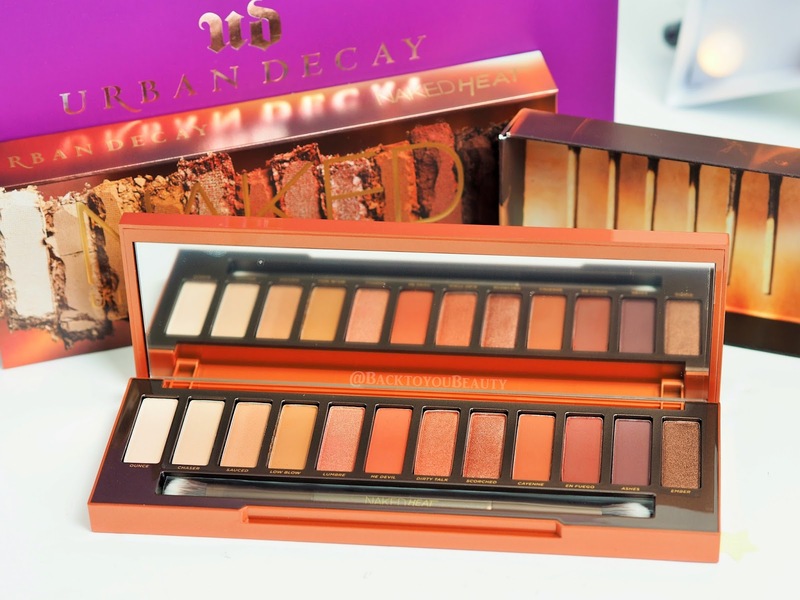 Urban Decay have really out done themselves.